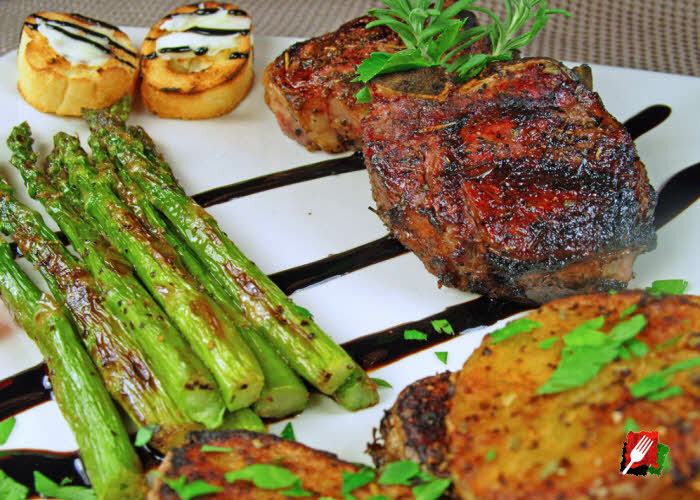 The Lamb Chops. 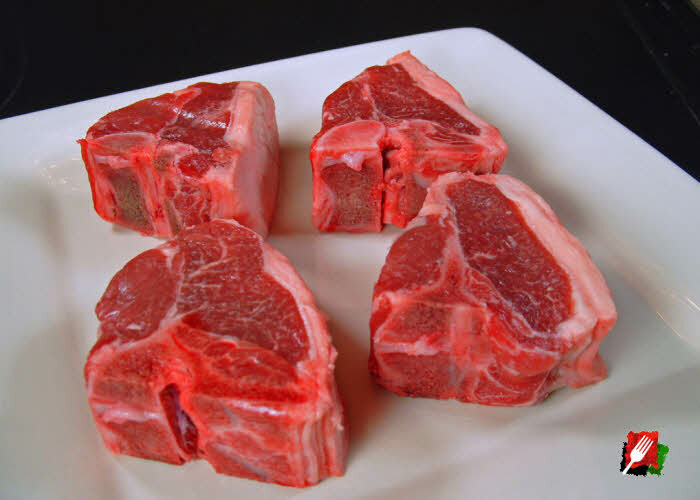 Try to find at least 1″ thick lamb chops. Combine spices and sprinkle on both sides of the meat in advance of cooking (or overnight). 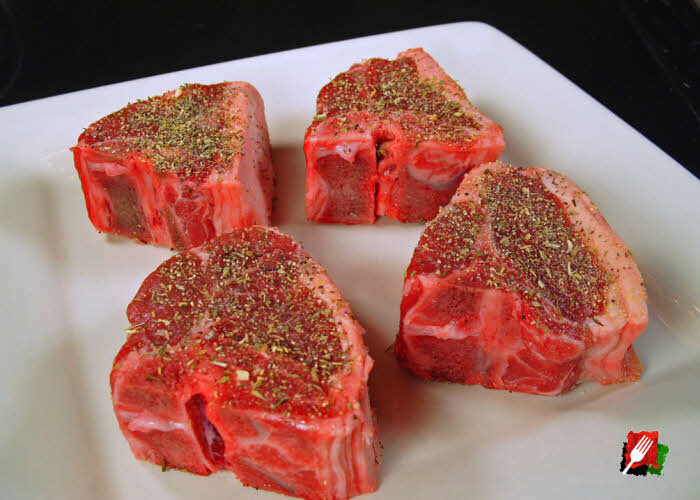 If refrigerated, let the lamb chops sit on the counter for at least 1 hour before grilling. Depending on the thickness, let them cook on high heat for about 6 minutes, turning half way through, then turn over and let cook another 5 minutes over medium heat. 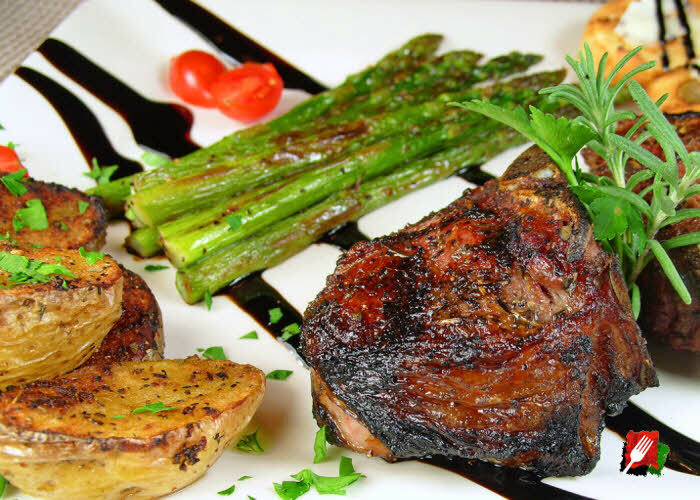 Depending on thickness of the chop, the preferred doneness, and type of grill, the times and temperature may vary. 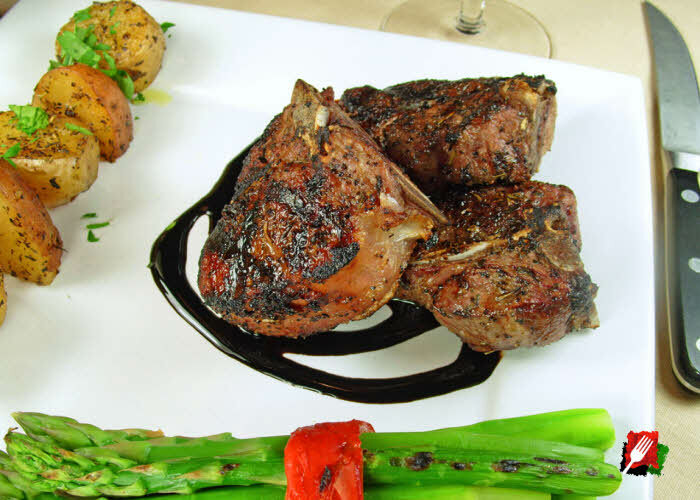 Lamb chops are medium-rare when the internal temperature reaches about 135ºF, and 145ºF for medium. 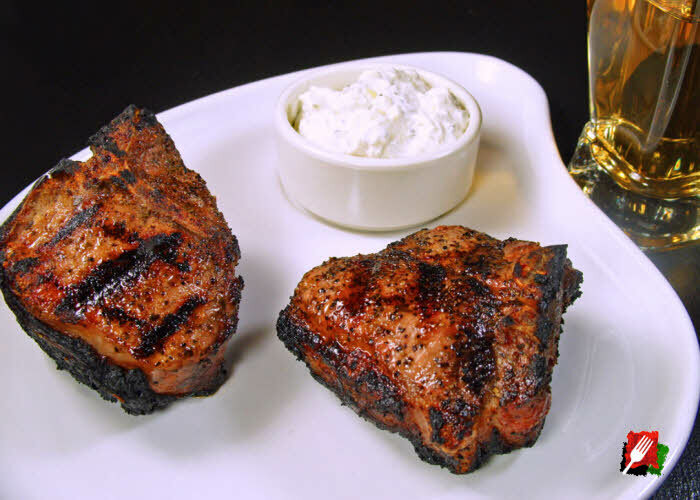 Transfer to a platter and let the chops rest for 10 minutes before serving.